Domotika is a typeface family designed by Cosimo Lorenzo Pancini, with italics designed by Andrea Tartarelli. It's a humanist sans serif font, with a semi-condensed feel, great for editorial and display usage where readability and personality must match convenient space usage. Taking inspiration from architectural practice, the design of the typeface is ruled by the continuous interplay between the classical and the contemporary, the hand-made and the technological. 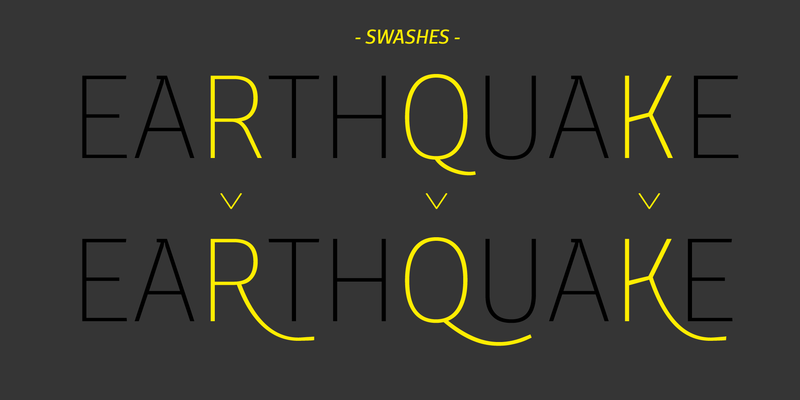 So, the design of the roman juxtaposes the clean, modern design and the typographical choice of two storey lowercase "a" and "g" to slight calligraphic endings to curves; while in the italic the curves sport sharper bends that give a technical appeareance to the shapes, much more callligraphic in nature. The name itself is a pun to the idea of "domotics", robotic technology for use in the home. Conceived as a great tool for editorial use, Domotika comes in eight weights, with matching italics, each covering over 70 languages using the latin and cyrillic alphabets. Standard open type features include stylistic sets for alternates, tabular, lining and oldstyle numerals, standard and discretionary ligatures and swash forms.